Technologies forge ahead and not everyone catches up with them. New inventions and notions lead to new words creation confusing newbies. Do you have troubles with some terms that refer to fast-developing e-Commerce world? We have made a list of words that each online merchant need to know making your business start easier. An abbreviation of application program interface, is a set of routines, protocols, and tools for building software applications. The API specifies how software components should interact and are used when programming graphical user interface components. A good application program interface makes it easier to develop a program. It deals with databases and data processing components, so the purpose of the back-end system is to launch the operating system's programs in response to front-end system requests and operations. In other words, the back-end system implements responses to what the front end has initiated. It means to copy files to a second medium (a disk or tape) as a precaution in case the first medium fails. One of the cardinal rules in using computers is back up your files regularly. The amount of data that can be transmitted in a fixed amount of time. For digital devices, the bandwidth is usually expressed in bits per second (bps) or bytes per second. For analog devices, the bandwidth is expressed in cycles per second, or Hertz (Hz). A component that transparently stores data so that future requests for that one can be served faster. The information that is stored within a cache might be values that have been computed earlier or duplicates of original values that are stored elsewhere. File Transfer Protocol (FTP) is a protocol used on the internet in order to transfer files. It was a popular means of making files available over the internet, either via public or private FTP sites, before the advent of the web. Site developers now use FTP to upload / download files to the server when making changes / additions to web pages. A piece of software or hardware designed to serve as a barrier to exclude outside intruders, typically those on the internet, access to internal content. Companies often adopt firewalls in order to keep their internal communications private. It is the same as user interface, the junction between a user and a computer program. Front end is a set of commands or menus through which a user communicates with a program. XML (eXtensible Markup Language) is used to enable the sharing of data across different sites on the web. A popular use of XML is RSS, used to subscribe to news feeds and blogs. XML is a means of describing data, in a customizable fashion, in order to apply a structure to the data that is necessary for the export. That’s it for today! 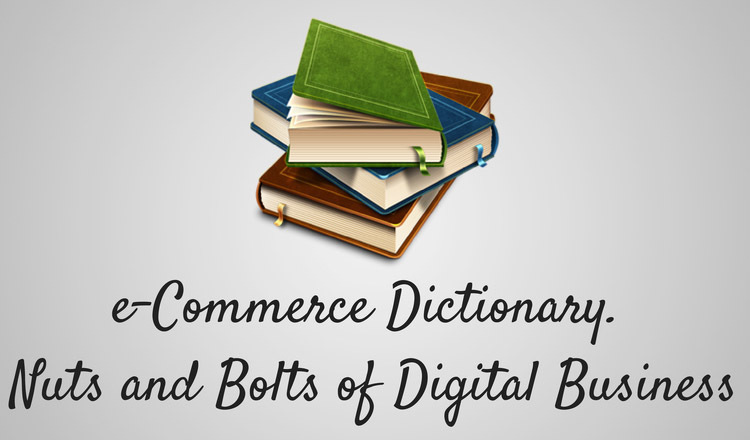 Hope it was a useful contribution to your word stock and e-Commerce knowledge. However, if you already have online business, but want to perform some changes, don’t miss a possibility to get a new store using migration with Cart2Cart.